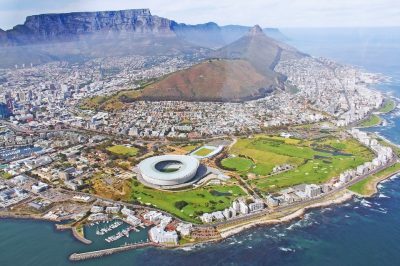 The largest opposition party in South Africa has mocked the country’s online gambling ban, at a time when the local Government is preparing to vote on a proposed new gambling legislation. Yesterday, Ghaleb Cachalia, the Democratic Alliance party’s Shadow Deputy Minister of Trade and Industry, released a statement ridiculing the ruling of the ANC party and the DTI for coming up with a plan to suspend the use of the Internet in order to ban online gambling. According to Mr. Cachalia, Section 54 of the current National Gambling Act makes sure that the country’s gambling and betting sectors are not isolated from competition but are subjected to normal marketing conditions. He further noted that the changes which have been proposed for the Act by the ANC would provide regulators with the right to impose punishments on both web-based gambling companies and their users. Furthermore, DA MP Cachalia explained that the Trade and Industry Minister Rob Davies had expressed his willingness to back the South African Casino Association after its CEO urged local lawmakers to either impose a stricter regime on illegal online gambling or make online casinos legal and make sure there is adequate and effective regulation in place. The DA party’s Shadow Deputy Minister of Trade and Industry quoted the comments made by DTI Minister Davies in 2016 in terms of the possible seizures of gamblers’ winnings generated by betting on gambling websites run under international licensed. He mocked Davies for his words that the South African Government is not able to prevent local people from playing the game, but it gets them whenever they generate a winning. Cachalia described online gambling as a flourishing industry with a rapidly increasing customer base and explained that a report has been forged by the parliamentary committee of the DTI, which featured a point of view that any changes in the existing gambling laws should consider the sector as a whole, including online gambling. According to the DA Shadow Deputy Minister of Trade and Industry, the former Chief Director of Policy and Legislation at the DTI, MacDonald Netshitenzhe, was the one responsible for the “mess”, because he has once said that online gambling could be stopped by banning the Internet in the country. He explained that the amendment bill process was also unnecessarily fast, which resulted in legislation badly done. The bill was introduced earlier in 2018. Mr. Cachalia said that as a result, the legislation would not stand up in court, the committee had not provided its opinion, while the country’s provinces were opposed to the bill. In his opinion, the bill represented a fatal mistake to deal with legislation in “a piecemeal approach”. 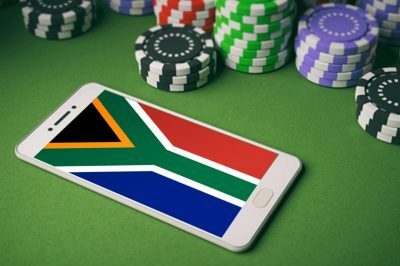 Despite Cachalia mocking the online gambling ban, the truth is that the ANC currently has a large majority in the National Assembly, so the support of the DA would not be necessary for the amendment’s approval.